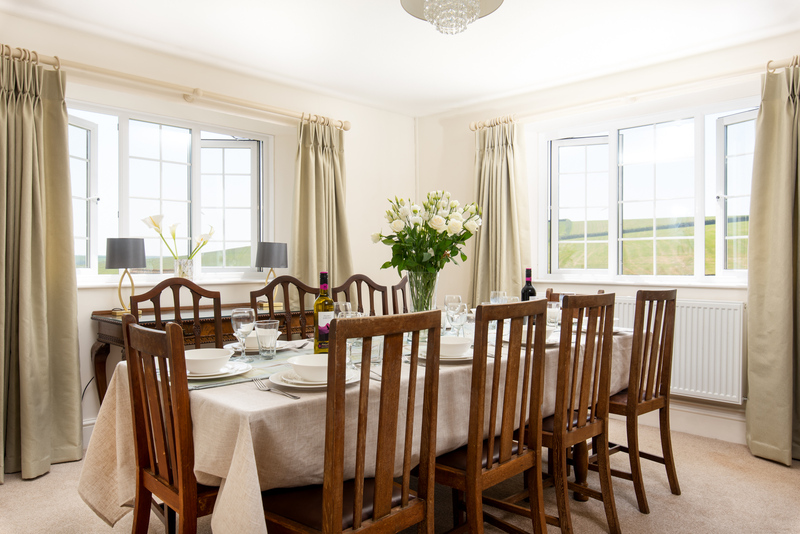 The beautiful Braunton Farmhouse comfortably accommodates up to 10 in five bedrooms and is the perfect self-catering property for those seeking a rural location within easy reach of North Devon’s beaches, local towns and villages, and Exmoor National Park. The dog and family friendly house sits high on the hills above Braunton, a wonderful peaceful setting for a holiday, no matter what the weather or the season. The large and spacious farmhouse has been tastefully decorated throughout, effortlessly combining period charm and character with modern day elegance and style. 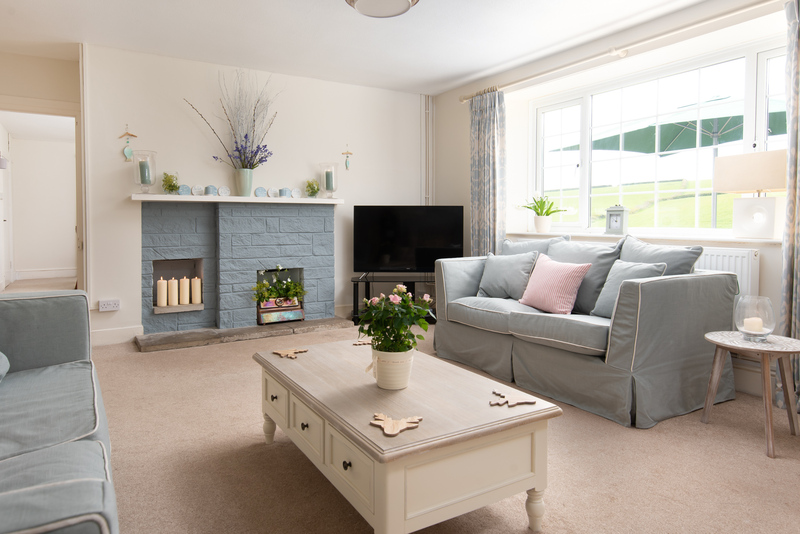 Set over two floors and featuring a huge garden, Braunton Farmhouse has plenty of space for everyone. some floor cushions. There is also a decorative fireplace, a large flat screen TV, with a selection of DVDs. 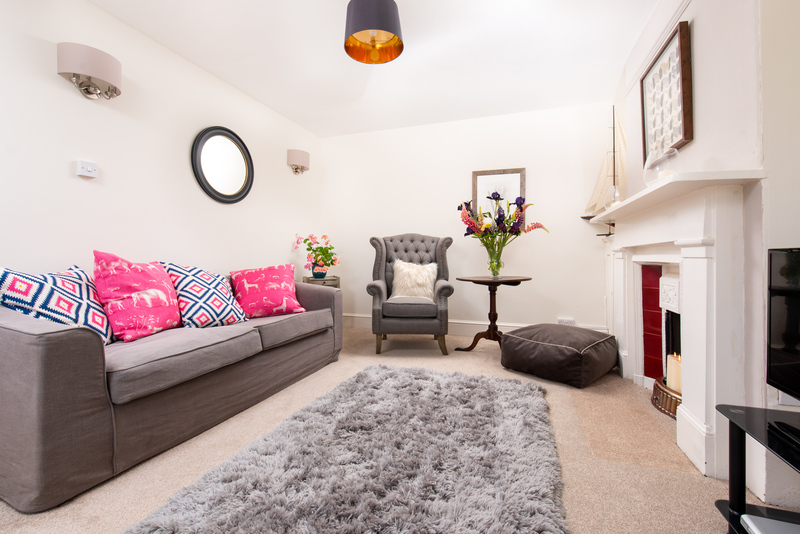 The handy smaller living room, affectionately nicknamed ‘The Snug’ is located to the left of the front entrance and is a wonderful place to escape. 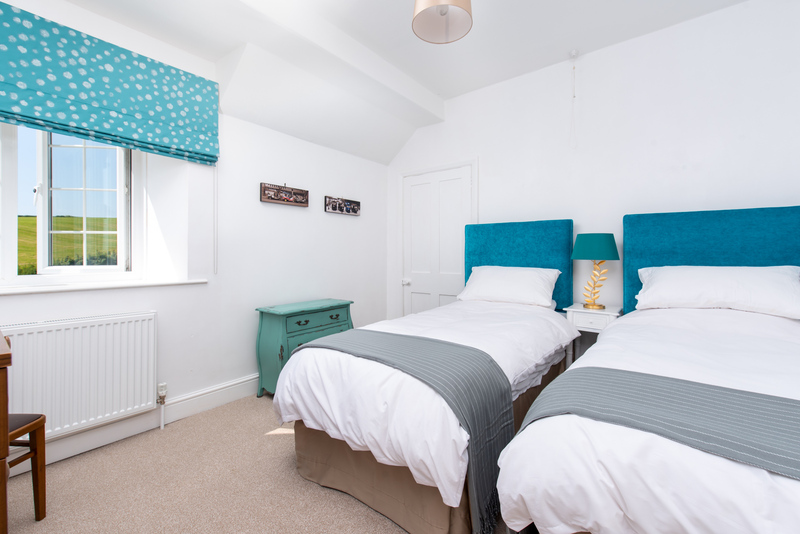 The handy second lounge can be used by various members of the group depending on who is staying - for adults seeking peace and quiet, this comfy room is ideal, however it is also a great place for teenagers and children wishing for time away. The Snug has a large comfy sofa, as well as a big armchair. Other items in the room include a decorative fireplace and a large flat-screen TV with a DVD player. The double aspect formal dining room is located at the end of the house and is where everyone can come together for meals. 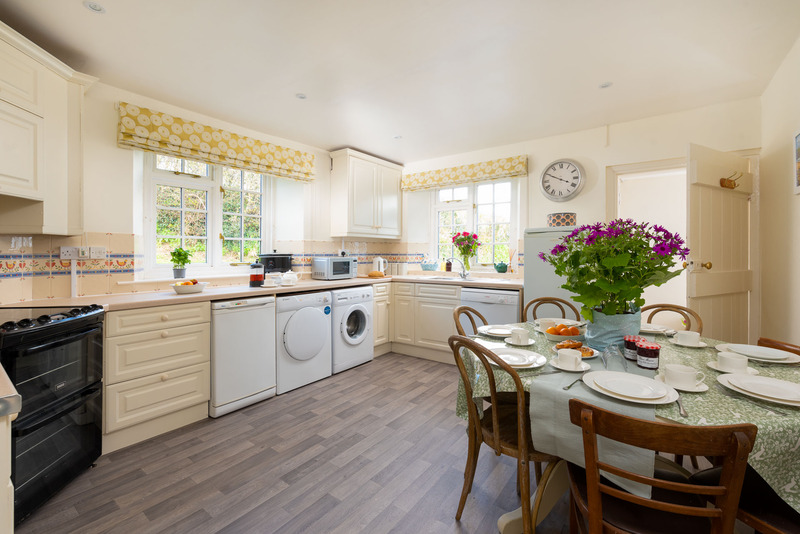 The large table can comfortably seat up to 10 and a wide range of cutlery and crockery can be found in the kitchen. 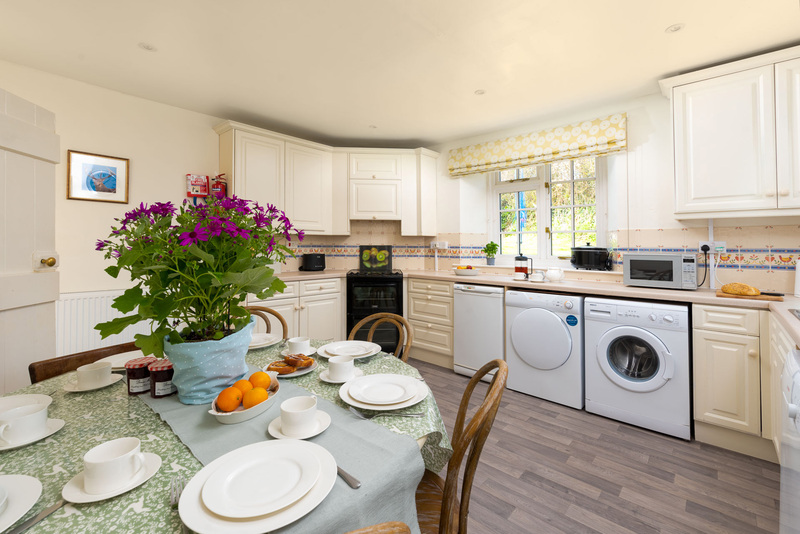 Situated to the rear of Braunton Farmhouse is the well-equipped kitchen. This pretty, farmhouse kitchen decorated in neutral tones is fitted with a large fridge, a separate freezer, a microwave, a slow cooker, an electric oven with hob, a coffee machine, a washing machine and a tumble dryer. There is also a handy round table, which is great for leisurely breakfasts or keeping the chef company. If needed there is a handy storage cupboard located beside the kitchen where items such as the hoover, an iron and ironing board and a clothes airer can be found. The first floor can be accessed via two stair cases. At the top of the main stairs on your left is bedroom 1. This large and spacious twin has two full size single beds and benefits from lovely views over the garden and local countryside. The bedroom also features a built-in wardrobe and a decorative fireplace. 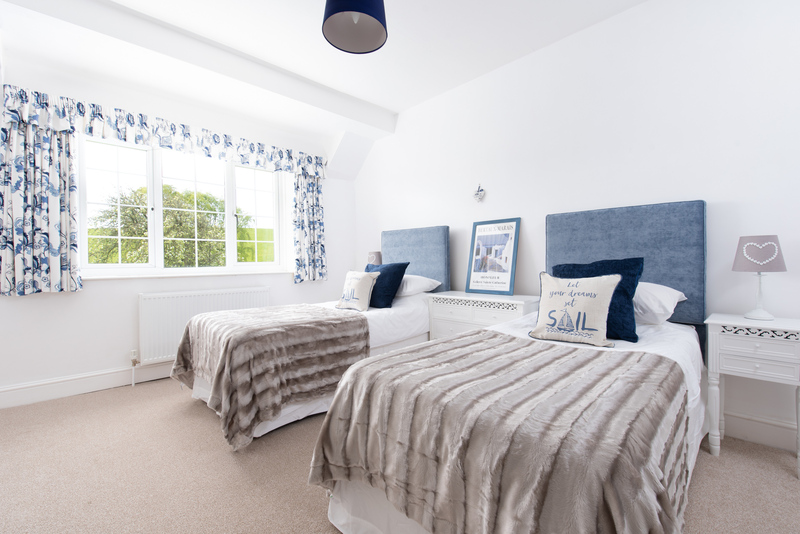 The second twin bedroom is a good size and features two full size single beds. With views over the garden, a built-in wardrobe and a chest of drawers it is a great bedroom for either adults or children. 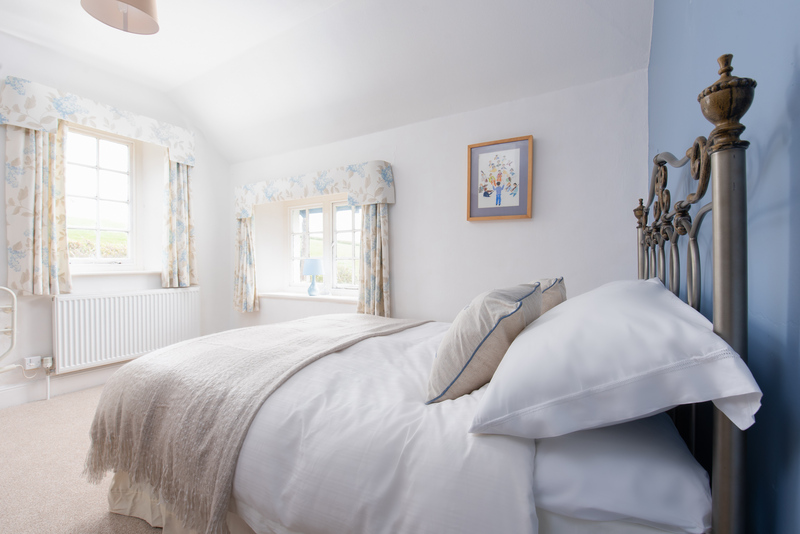 It has also been tastefully decorated with hints of teal blue complimenting the white walls and bed linen. 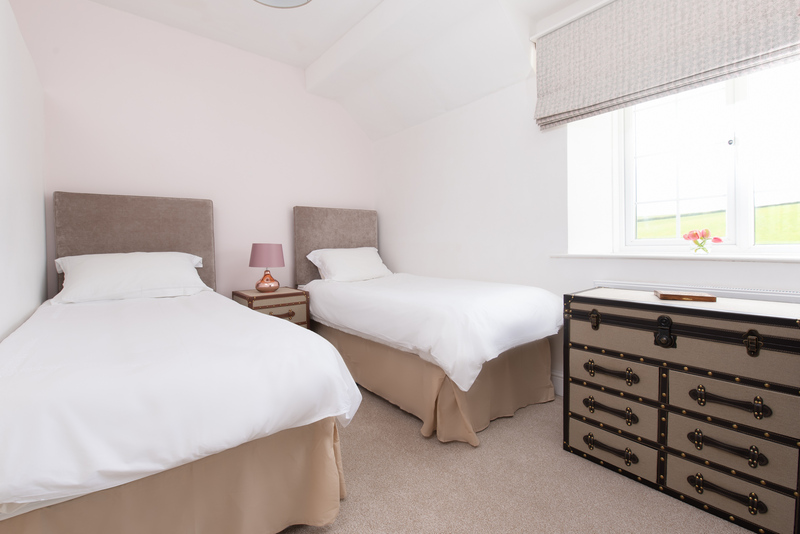 Located opposite the family bathroom is Bedroom 3, a nice twin with two full size single beds. 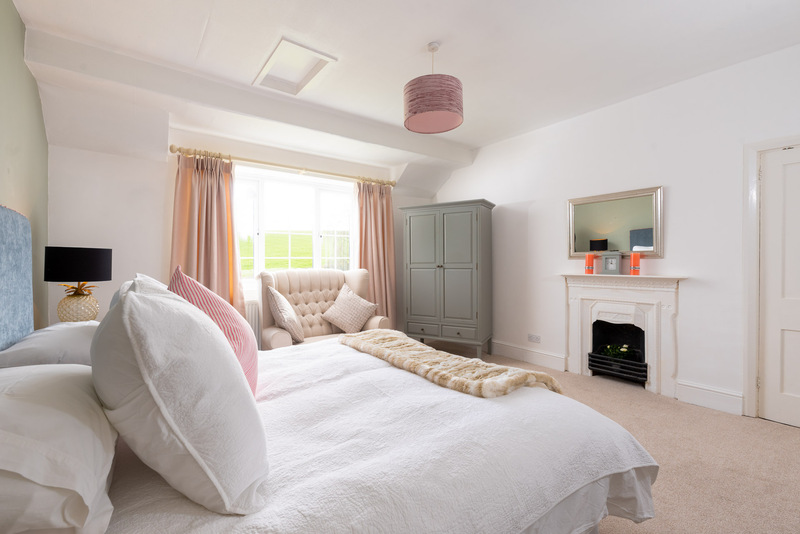 The bright and spacious twin has countryside views and has been decorated in neutral tones that are complimented by the unusual character furniture, including the chest of drawers and the bedside table. Situated at the end of the hallway and near the rear staircase is the first of two double bedrooms. This large, spacious bedroom has a super-king size bed and is beautifully decorated with shades of blue and pink adding a splash of colour. Also, in this bedroom is a large chest of drawers and a free-standing wardrobe. The final bedroom is also located near the rear staircase. 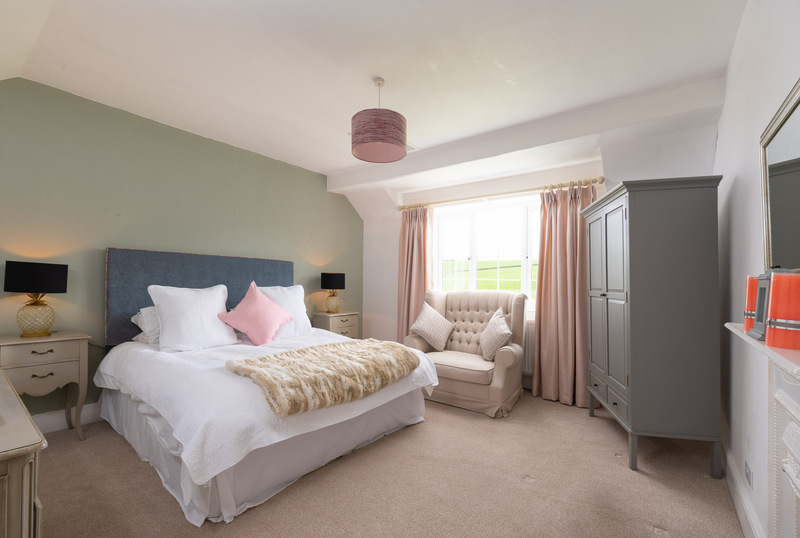 The double aspect bedroom with garden and countryside views features a standard double bed, as well as a free-standing wardrobe, a handy wash-basin and a heated towel rail. 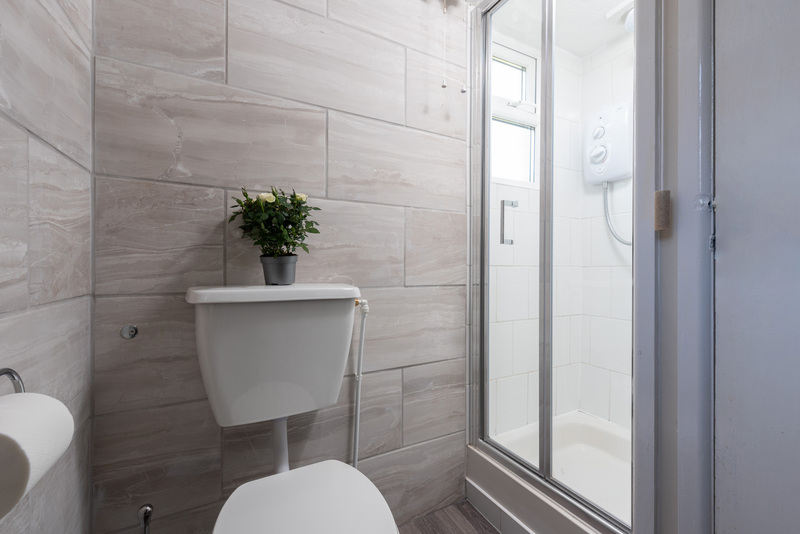 The first of two downstairs bathrooms is situated near the rear entrance to the farmhouse and is fitted with a shower, a wash-basin and a WC. This shower is great for washing off sandy feet after a day on the nearby North Devon beaches. This stunning second bathroom located near the kitchen has recently been renovated to a very high standard. 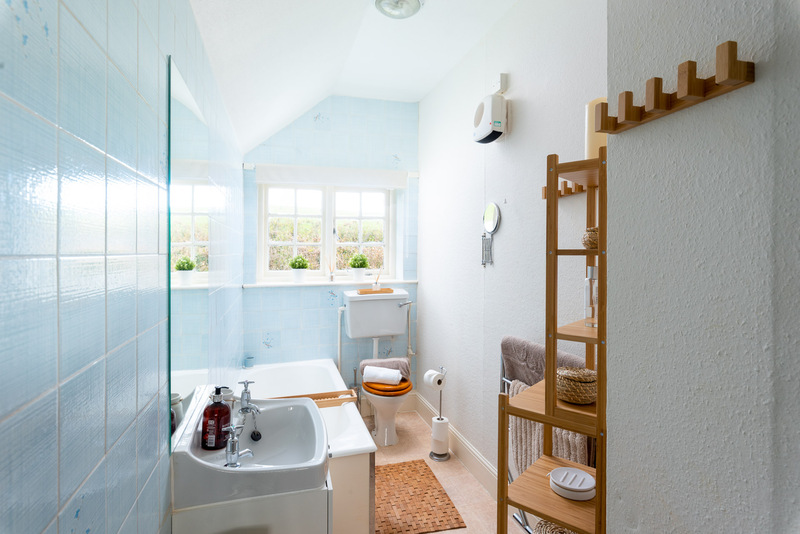 There is a bath with a shower overhead, a wash-basin and WC. 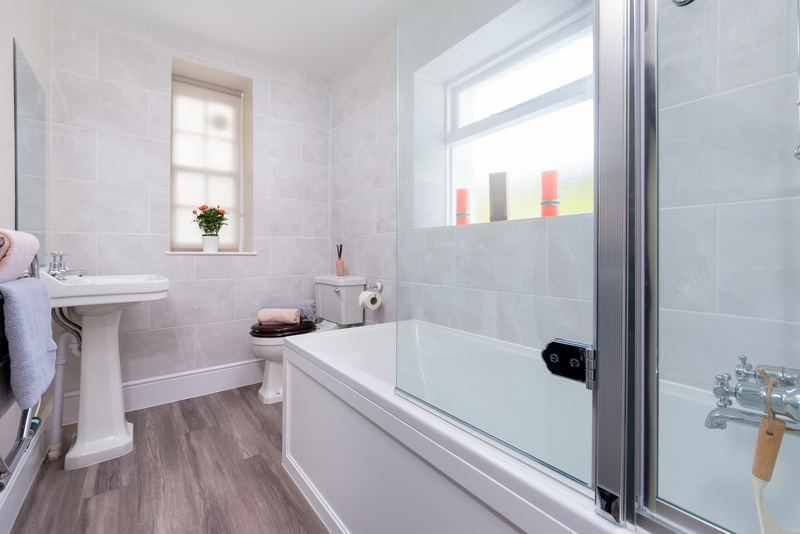 The first-floor family bathroom is situated opposite Bedroom 3 and is fitted with a bath, a wash-basin and a WC. There are also two heated towel rails and mirror with light and shaving point. 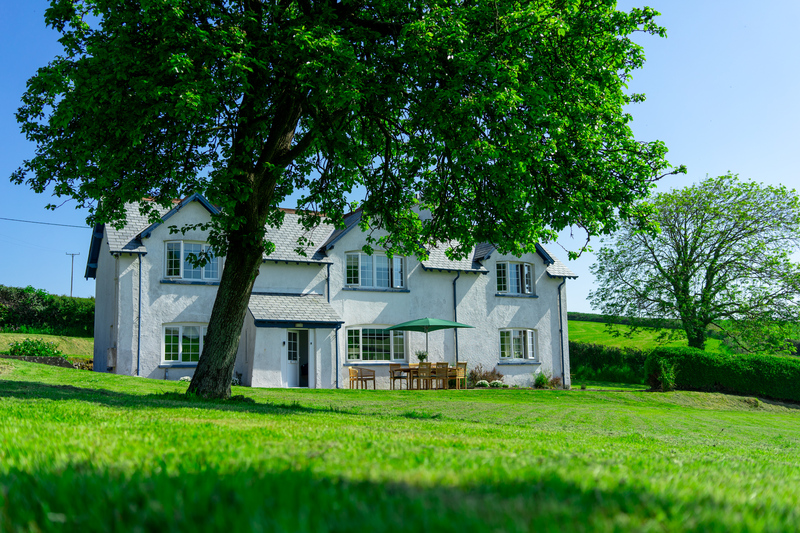 Braunton Farmhouse has a large garden perfect for families with children or guests staying with dogs. The big lawn to the front of the house although slightly sloped is great for ball games, as well as relaxing. A second smaller lawn area to the side of the house, which is more level and the ideal place for enjoying the summer sun. 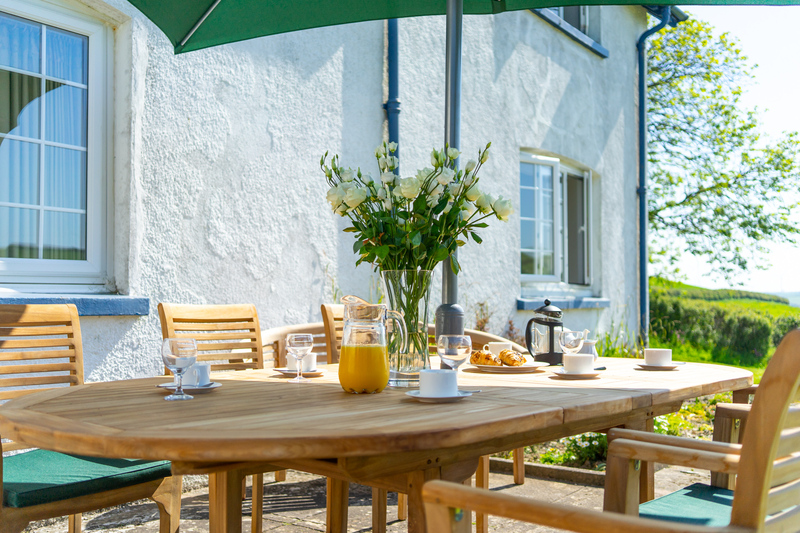 The main terrace with outdoor table and chairs is situated to the front of the house to take advantage of the countryside views. A second terrace can be found to the rear of the property. For warm months a BBQ is provided.